As a founding member of the renowned ZooNation Dance Company, Rowen has appeared and worked on all their productions including ‘Into The Hoods,’ ‘Some Like It Hip Hop’ and most recently ‘The Mad Hatters Tea Party.’ Rowen’s career has spanned across both screen and stage supporting artists such as Rihanna, Alesha Dixon, Girls Aloud and has performed on a number of tours and events including The World Music Awards. 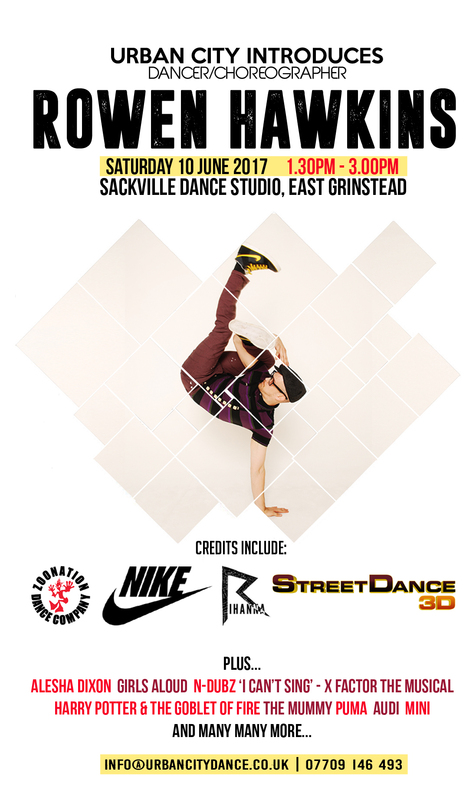 Rowen’s choreography can be seen in ZooNation’s ‘Groove On Down The Road,’ ‘Unplugged’ and ‘Street Fighter V as well as the British movie Streetdance 3D. Rowen has also appeared in movie blockbusters such as Harry Potter & The Goblet of Fire and The Mummy with Tom Cruise and Russell Crowe.